Just before 9:45am, I boarded yet another train at Town Hall station with yet another Subway lunch. The train headed north, and as most of the next hour passed I ate my lunch and read on my Kindle. About fifteen minutes before the end of my journey, I smiled as I enjoyed being in the moment of traveling by train on a glorious summer’s day through a favourite part of Sydney while on leave from work. But during the last few minutes of my journey, just before the train arrived at my destination, I looked out the window as part of the route I planned to walk passed by, and some doubts from the night before returned. Was this a good idea after all? Shortly after, I arrived at where I planned to start my latest long-walk – Berowra, 38 kilometres north of Sydney. My planned destination was much closer, however – Hornsby, about 11 kilometres to the south. But I wasn’t doubting that I could make that distance, though. Rather, I was worried if some parts of my planned route would let me walk it at all. Despite those doubts, however, I left Berowra station, turned south and began walking. My original plan had been to walk from Cowan to Hornsby. 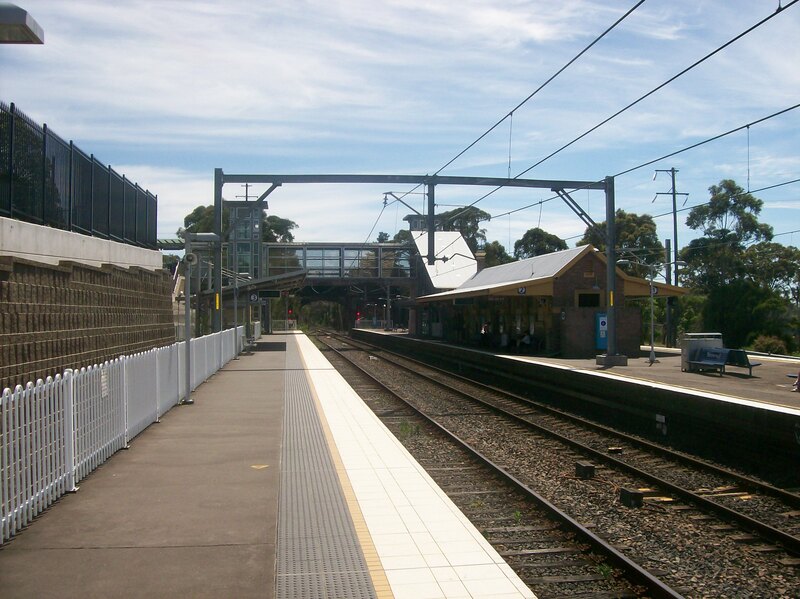 Cowan is about five kilometres north of Berowra, and is regarded by some as the last northern suburb of Sydney (although others feel that is Brooklyn, which is another six kilometres north of Cowan). …until I did some last-minute research online, via Google Maps Street View, and then I changed my mind. There’s nothing wrong with Cowan, which I have visited once before. But what concerned me was the (in)famous Pacific Highway, which connects Cowan to Berowra and Sydney. The Pacific Highway is one of Australia’s busiest roads, but also one of its most dangerous because long stretches of it are still undivided – including part of it between Cowan and Berowra. And as Google Maps Street View showed me, in places there was no room to the sides of the road or even in the nearby bushland for people to walk alongside the Pacific Highway. There is a bushwalking track in the nearby countryside, but that track is long and meandering away from the Pacific Highway and I wasn’t interested in bushwalking. I wanted to walk along or alongside the Pacific Highway, but in places from Cowan to Berowra it just wasn’t possible. It was only during the last kilometre or so to Berowra that designated cycling lanes appeared, along with nice flat ground alongside. I followed Street View past Berowra for a while and saw that although the nice flat ground vanished in places, the cycling lanes continued. Berowra it would have to be. But during those last few minutes before I arrived at Berowra station, I looked at the Pacific Highway again and my doubts returned. Yes, there were the designated cycling lanes. But especially next to the cars and trucks hurtling past at speeds up to 100 kilometres an hour, they looked narrow. And in places, there was no flat ground at all beyond the crash barriers. But there was also another sight, which I first saw when I was only three or four years old and still leaves me in awe decades later. One day way back in 1974 or 1975, my family had been driving north to visit friends in the Hunter Region. As we drove along this part of the Pacific Highway that I was now looking at as a 43-year-old, I looked west out of the car window and saw the large green valley that contains Lyrebird Gully and heads towards Berowra Creek several kilometres away. The valley itself is very impressive – and what my young self also found intriguing were the big overhead-powerline towers that stood along the top of the southern slope and, to me, looked like giant robots marching west into the unknown. I’ve seen that sight several times during the past 40 years, and it has never failed to impress me. And as it did again, I resolved to walk past it alongside the Pacific Highway and view it from foot despite my doubts. This entry was posted in Action, Fear, Hope, Inspiration, Life Challenges, Travel. Bookmark the permalink.